Hospitalizations account for nearly one-third of the total $2 trillion spent annually on health care in the United States. In the majority of cases, hospitalization is necessary and appropriate; however, many hospitalizations occur when patients return to the hospital shortly after a previous stay.1 An estimated 20% of rehospitalizations occur within 30 days of discharge, with up to 76% of these believed to be avoidable.2,3 Improving transitions of care and reducing avoidable hospital readmissions are central to current health care policy and payment reform efforts focused on improving the quality of health care while reducing unnecessary cost. Ensuring appropriate medication use in a medically complex patient requires tremendous coordination of care among providers. Pharmacists are highly trained medication experts who are uniquely positioned to collaborate with providers across health care settings and to take the lead in providing medication therapy management (MTM) services to complex and high-risk patients. Medication reconciliation is a primary component of MTM and involves the comprehensive evaluation of a patient's medication regimen any time there is a change in therapy or when a transition of care occurs. Strategies shown to reduce medication errors at transitions include pharmacist medication reviews, including medication reconciliation at discharge.15,16 Medication reconciliation processes should include a comparison of the existing and previous medication regimens and should occur at every transition of care when new medications are ordered, existing orders are rewritten or adjusted, or a patient has added nonprescription medications. • communicating the new list to appropriate caregivers and to the patient. Medication reconciliation has been shown to help avoid medication errors such as omissions, duplications, dosing errors, or drug interactions, and to observe compliance and adherence patterns. 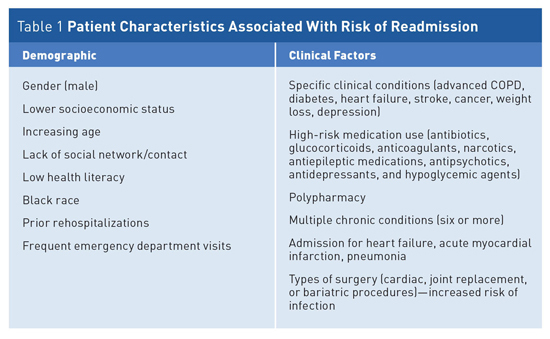 Potential MRPs that can be prevented by medication reconciliation include failure to receive a medication (for pharmaceutical, psychological, sociological, or economic reasons), ADEs, drug interactions, and medication use without indication. One study noted that 81% of patients encountered medication issues after discharge. One-quarter (24%) of those issues involved a hospital error related to new prescriptions patients received at discharge. But nearly two-thirds of medication issues (60%) may be due to patients' lack of understanding of how their ongoing medication regimens had changed while they were hospitalized. Health care providers should be aware of issues leading to cost-related nonadherence so that assistance can be offered. As few as one in four patients with difficulty affording prescription medications is asked by a physician, nurse, or other health care provider whether he or she could afford a medication. Two-thirds of patients will never mention the financial concern to the physician, primarily because the prescriber never asks, and the patient believes the prescriber will be unable to help. To help health care professionals identify and improve medication adherence compliance, VHQC has prepared a two-page flyer on improving medication adherence in the older adult, available at www.champ-program.org/static/ImprovingMedAdherenceOlderAdultslyer_final_508C.pdf. Continuity in patients' medical care between health care settings requires significant communication and coordination of efforts. As the push continues toward hospital value-based purchasing, accountable care organizations, medical care homes, and bundled payments, it is likely that we will continue to see increased integration of systemwide transitions of care processes with partnerships between hospitals, physician practices, long term care organizations, pharmacy providers, and health plans. As the focus continues on improved quality measures, reduced hospital readmissions, and financial incentives and/or penalties, steps to improve medication management services and the use of pharmacists more globally will become increasingly important. — Mark D. Coggins, PharmD, CGP, FASCP, is vice president of pharmacy services and medication management for skilled nursing centers operated by Diversicare in nine states, and is a director on the board of the American Society of Consultant Pharmacists. He was nationally recognized by the Commission for Certification in Geriatric Pharmacy with the 2010 Excellence in Geriatric Pharmacy Practice Award. 1. Boutwell A, Griffin F, Hwu S, Shannon D. Effective Interventions to Reduce Rehospitalizations: A Compendium of 15 Promising Interventions. Cambridge, MA: Institute for Healthcare Improvement; 2009. 2. Jencks SF, Williams MV, Coleman EA. Rehospitalizations among patients in the Medicare Fee-for-Service program. N Engl J Med. 2009;360(14):1418-1428. 3. Sevin C, Evdokimoff M, Sobolewski S, Taylor J, Rutherford P, Coleman EA. How-to Guide: Improving Transitions From the Hospital to Home Health Care to Reduce Avoidable Rehospitalizations. Cambridge, MA: Institute for Healthcare Improvement; June 2013. 4. The Joint Commission. 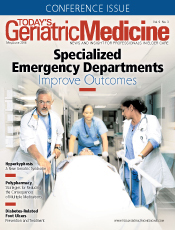 Sentinel Event Alert, issue 35: using medication reconciliation to prevent errors. http://www.jointcommission.org/assets/1/18/SEA_35.PDF. Published January 25, 2006. Accessed April 17, 2016. 5. Institute of Medicine. Aspden P, Wolcott JA, Bootman JL, Cronenwett LR, eds. Preventing Medication Errors. Washington, D.C.: National Academies Press; 2006. 6. Budnitz DS, Pollock DA, Weidenbach KN, Mendelsohn AB, Schroeder TJ, Annest JL. National surveillance of emergency department visits for outpatient adverse drug events. JAMA. 2006;296(15):1858-1866. 7. Cornish PL, Knowles SR, Marchesano R, et al. Unintended medication discrepancies at the time of hospital admission. Arch Intern Med. 2005;165(4):424-429. 8. Gleason KM, Groszek JM, Sullivan C, Rooney D, Barnard C, Noskin GA. Reconciliation of discrepancies in medication histories and admission orders of newly hospitalized patients. Am J Health Syst Pharm. 2004;61(16):1689-1695. 9. Forster AJ, Murff HJ, Peterson JF, Gandhi TK, Bates DW. The incidence and severity of adverse events affecting patients after discharge from the hospital. Ann Intern Med. 2003;138(3):161-167.
files/files/2012_improving_care_transitions.pdf. Published March 2012. Accessed April 17, 2016. 11. Nichol A, Downs GE. The pharmacist as physician extender in family medicine office practice. J Am Pharm Assoc (2003). 2006;46(1):77-83. 12. Isetts BJ, Schondelmeyer SW, Artz MB, et al. Clinical and economic outcomes of medication therapy management services: the Minnesota experience. J Am Pharm Assoc (2003). 2008;48(2):203-211. 13. Rao D, Gilbert A, Strand LM, Cipolle RJ. Drug therapy problems found in ambulatory patient populations in Minnesota and South Australia. Pharm World Sci. 2007;29(6):647-654. 14. National Transitions of Care Coalition. Improving transitions of care: the vision of the National Transitions of Care Coalition. http://www.ntocc.org/Portals/0/PolicyPaper.pdf. Published May 2008. Accessed April 17, 2016. 15. Murphy EM, Oxencis CJ, Klauck JA, Meyer DA, Zimmerman JM. Medication reconciliation at an academic medical center: implementation of a comprehensive program from admission to discharge. Am J Health Syst Pharm. 2009;66(23):2126-2131. 16. Schnipper JL, Kirwin JL, Cotugno MC, et al. Role of pharmacist counseling in preventing adverse drug events after hospitalization. Arch Intern Med. 2006;166(5):565-571. 17. American Pharmacists Association, National Association of Chain Drug Stores Foundation. Medication therapy management in pharmacy practice: core elements of an MTM service model (version 2.0). J Am Pharm Assoc (2003). 2008;48(3):341-353. 18. Gleason KM, McDaniel MR, Feinglass J, et al. Results of the Medications at Transitions and Clinical Handoffs (MATCH) study: an analysis of medication reconciliation errors and risk factors at hospital admission. J Gen Intern Med. 2010;25(5):441-447. 19. Sarrafizadeh M, Waite NM, Hobson EH, Migden H. Pharmacist-facilitated enrollment in medication assistance programs in a private ambulatory care clinic. Am J Health Syst Pharm. 2004;61(17):1816-1820. 20. Mounts VL, Ringenberg DG, Rhees K, Partridge C. Implementation of a patient medication assistance program in a community pharmacy setting. J Am Pharm Assoc (2003). 2005;45(1):76-81. 21. Dent LA, Stratton TP, Cochran GA. Establishing an on-site pharmacy in a community health center to help indigent patients access medications and to improve care. J Am Pharm Assoc (Wash). 2002;42(3):497-507. 22. Johnson PE. Patient assistance programs and patient advocacy foundations: alternatives for obtaining prescription medications when insurance fails. Am J Health Syst Pharm. 2006;63(21 Suppl 7):S13-S17. 23. Jack BW, Chetty VK, Anthony D, et al. A reengineered hospital discharge program to decrease rehospitalization. Ann Intern Med. 2009;150(3):178-187.